What are benefits in kind (BIK)? ‘Benefits in kind’ are benefits which employees or directors receive from their employment that are not included in their salary or wages. It is necessary to pay tax on all of these benefits, including a company car. 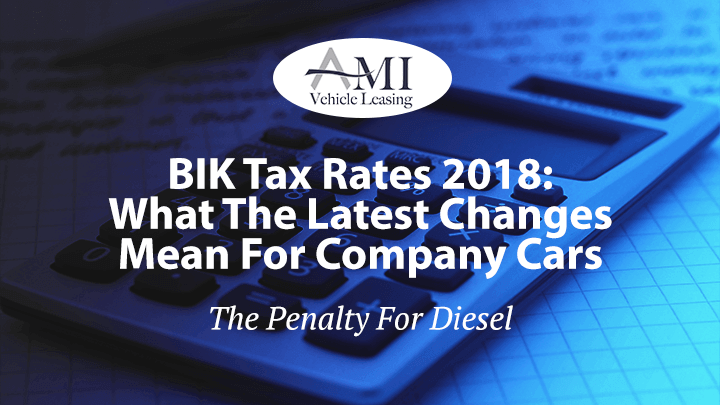 What are the changes to BIK tax rates? As of the 6th of April, a new set of company car benefit-in-kind tax rates were introduced. With the government’s push for cleaner air and recent changes to legislation in mind, it’s unsurprising diesel vehicles are again the most affected. This is the latest in a series of recent changes to tax which will bring about significant implications for fleet management. The chancellor’s Autumn budget saw the surcharge on diesel company cars rise from 3% to 4%. Also, as of the 1st April, vehicle excise duty on diesel car purchases has increased by 1%. If you would like to discuss the future of your business’s fleet, please do not hesitate to contact our knowledgeable sales team. Follow us on social media to stay up to date with our latest blogs and vehicle sales. Like our Facebook page, Twitter, LinkedIn Or Instagram. Whatever you media of choice, be sure to follow us for weekly blogs and entertainment.